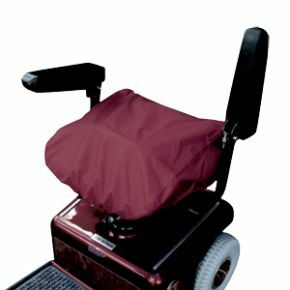 Mobility Scooter Seat Cover Weather Resistant. Have you ever left your scooter and come back to find the seat wet ? Then what you need is a scooter seat cover. They are available in two different sizes, to suit a standard seat or the luxury seat with a headrest.